As of today (December 30, 2009), the Nelso Prague iPhone App is a Top 100 Travel app in 12 countries. For comparison, there are 6780 travel apps in the German App Store, where we rank #73. To get into the Top 100, you must be in the top 1.4% of all travel apps. Google didn't provide a list of the most popular travel searches for the Czech Republic (unlike Denmark), but they did provide a list of the most popular searches on Google Maps Czech Republic. A large number of these are either definitely travel related searches (airport, hotel, accommodation) or possibly travel related searches (restaurants, public transport). Many of the top "Yellow Pages"-type searches (plumber, lawyer, locksmith) don't appear on the list at all. A sign that this is the list for 2009, and not, say, 2007, is the appearance of "employment office" in the #4 spot. Hopefully, that will fall off the list next year. Nelso has launched a version of its site for Austria at Nelso.at. Mark Sigal wrote a post titled "Touch Traveler: London, Paris and only an iPod Touch" for the O'Reilly Radar blog in August 2009, right before we started development on our first iPhone app. Inspired by this (and by horror stories from friends of how much they'd paid for data roaming while traveling), we tried to come as close as possible to the perfect iPod Touch travel guide to Prague. It's important to note that sales of the iPod Touch are nearly equal to sales of the iPhone, meaning an app that can work on both devices can reach double the audience of an app that requires a full-time internet connection. While we can't offer all the functionality of Google Maps in our app (e.g. a database large enough to handle driving/walking directions would make the app unacceptably large and complex), we can offer something that Google Maps can't - the ability to work offline, without an internet connection. 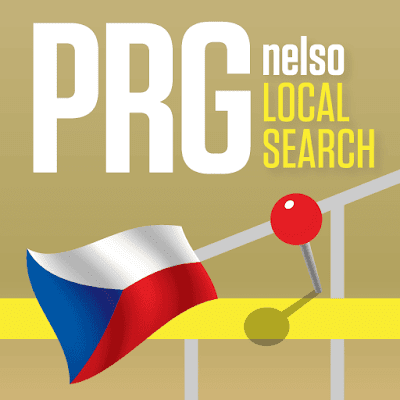 So using an iPod Touch without 3G, or an iPhone but don't want to pay data roaming charges to use Google Maps online, you can still use the Nelso Prague app for maps, with a pinch-and-push interface like that found in the online version. Actually, it wasn't Google Maps updating the location data for his iPod Touch when it sensed a WiFi connection, it was the CoreLocation API in the iPhone OS, which makes this location data available to every app (for example, when using the "Nearby" tab in our app). But we can do better than hoping that the user passes by an open WiFi spot to get a location (obviously, someone using our app with an iPhone 3G or 3GS has access to GPS). Our coverage of Prague is so dense that we can do pseudo-location sensing simply by asking the user to enter the name of a business or landmark near them. This would not work with most offline guides that contain fewer than 1000 locations in a city, but with more than 10,000 locations in the center of Prague, there is a very good chance that we have GPS coordinates for the bar or restaurant you are sitting in while doing a search. If you enter that name in the search box for "Near", we can give the user distance-sorted search results as good as, and usually better than, those possible with GPS (e.g. if you are in a small cafe, the margin of error for your location will be only a few meters, much better than the average error of the GPS in an iPhone). Searching for Restaurants, Tourist Attractions, etc. With over 10,000 businesses and tourist attractions in more than 200 categories, we've got this covered. We've included over 5,000 photos in the Nelso Prague iPhone app, so you can see the front (and sometimes the interior) of most businesses in Prague. Even with connectivity, Street View is not necessarily a good source of storefront images, as you can see in the view of Pařížská embedded below (in this case, trees planted between the street and sidewalk make it difficult to read many of the store names). Although we feel we have a strong 1.0 release, there are of course many things missing from the Nelso Prague iPhone app. Because we started with our local search database (rather than a travel guide database), we need to add a lot more content for tourists to the app (e.g. how to get in from the airport, top restaurant picks, how to use the subway, etc.). Speaking of the subway, we'd like to add at the very least a public transport map to the app, and even better would be routing information for the subways, buses, and trams (we did include public transport info for businesses in this version, but we can't help you find your way to that subway/bus/tram stop). We're always open to suggestions/comments on our app. You can send us email at iphone@nelso.com or leave a comment below. The Google Zeitgeist 2009 for Denmark is out, and of course we took an interest in the most popular travel related searches for the year. Not a lot of surprises here - two spots for the U.S., the big European capitals, and some popular "sun and sand" destinations. The only outlier is Iceland, which I don't normally think of as a popular vacation spot. But we might initiate coverage anyway; Reykjavík is smaller than Brno, Czech Republic. Of course, it will have to wait for summer. Reykjavík has only a little more than four hours of sunlight per day in winter, which would make photographing the city difficult. Our offline app for Prague is now available in the App Store. You can download it here (it's free).